Saturday 23rd March, 4pm -9pm, Maryhill Community Central Hall. 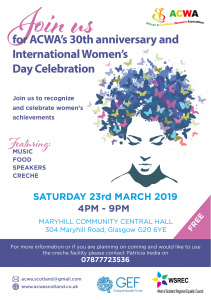 Join us to recognise and celebrate women’s achievements. There will be music, food, speakers and a creche.